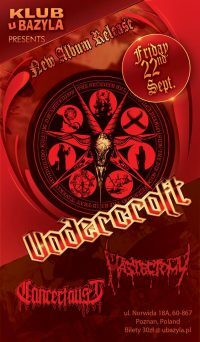 “The Seventh Hex” Release Show September 22nd Klub U Bazyla, Poznan, Poland. After many years we will be back in Poland, specifically at our old good friend: Klub u Bazyla in Poznań this September 22nd 2017. Poznań be prepared for the attack! Szykujcie się na krwawą śmierć metalową ucztę!